Albany is helping the Town of Cheektowaga in its ongoing effort to reduce sewer overflows into Scajaquada Creek. Old sewer pipes on Alpine Pl. 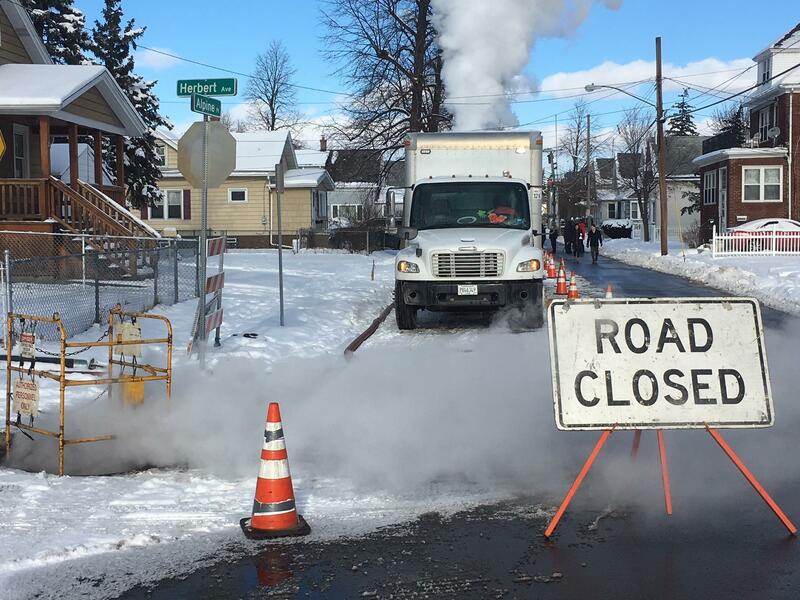 in Cheektowaga are among those in the town being relined to prevent leaks. 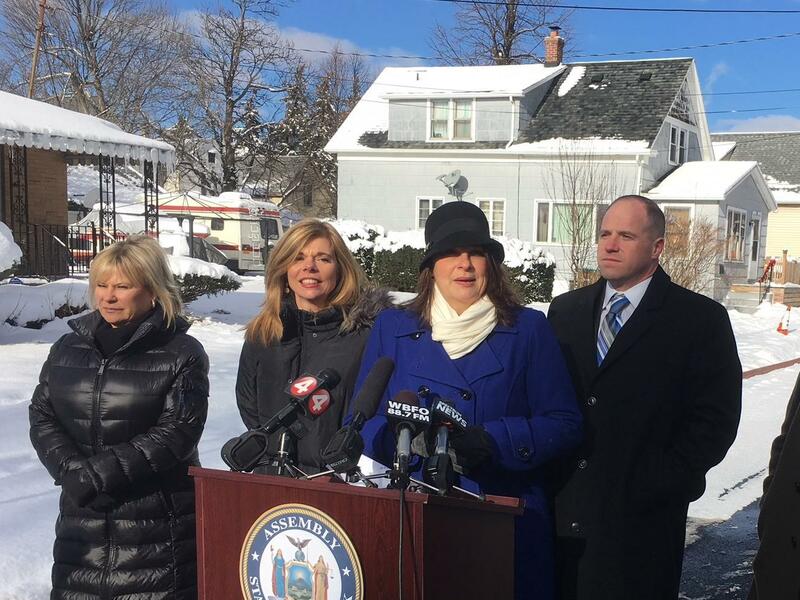 At a press conference on Alpine Pl., Senator Tim Kennedy and Assemblymember Monica Wallace announced Thursday that the state has awarded the town a $5 million dollar grant for relining and repairing old sanitary sewer pipes. Wallace says it's a fantastic and important investment by the state. "As we know, the town has been working very diligently to upgrade its infrastructure over the past few years and to comply with a DEC consent order because the town, like all of us, recognize how important it is to ensure that we have clean safe drinking water in our community," Wallace said. Jill Jedlicka, Executive Director of Buffalo Niagara Waterkeeper says, the state grant is a strategic investment in the region's water infrastructure. 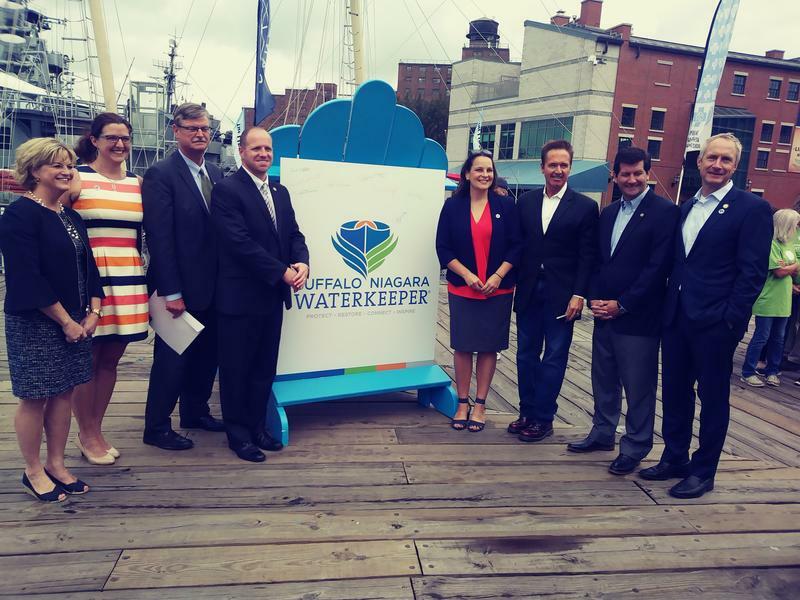 (Left to right) Cheektowaga Supervisor Diane Benczkowski, Assemblymember Monica Wallace, Buffalo Niagara Waterkeeper Executive Director Jill Jedlicka, and Senator Tim Kennedy. "That is an investment in our economy. That's an investment in our quality of life. And it's only going to have multiple returns for everybody within the community. It creates jobs. It creates clean water. And it creates a healthy economy," Jedlicka said. Sen. Kennedy says modernizing and improving Cheektowaga's aging sewer system is no small feat. He says it could take years to complete and cost in excess of $50 million. New York state funding has been awarded to help clean up Scajaquada Creek. 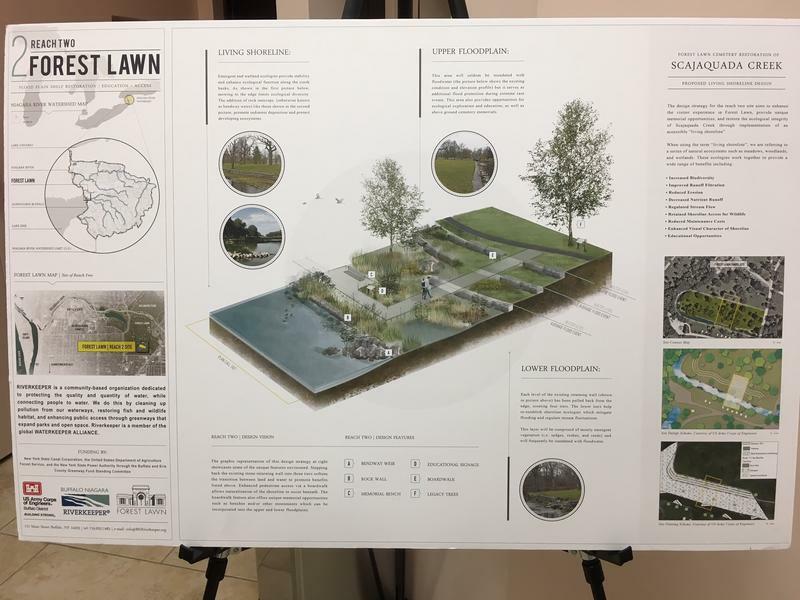 The Buffalo Sewer Authority will be receiving $1.815 million to restore a section of the creek, its floodplain and its wetlands. The air along Scajaquada Creek, and some park lakes in Buffalo, should be easier to breathe soon. A restoration project is underway that should help eliminate odor and other problems along the waterway. WBFO's Chris Caya reports on the effort to clean up one of the city's polluted waterways. Several water-related issues were the highlight of a report released today by a Western New York environmental group.